Product information "Floral Printed Silk Tie - Eggplant II - Handrolled"
This floral printed tie is the one everybody has to have in their wardrobe. It can be used on many occasions. It is easy to combine with your suit or jacket. 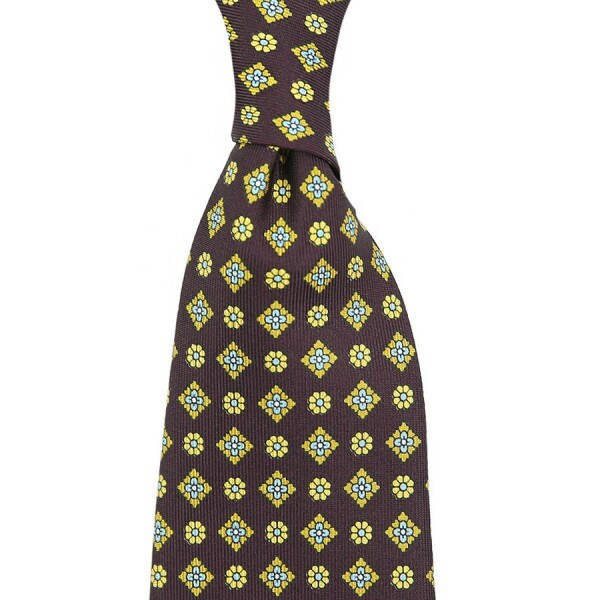 If you can’t find any inspiration on what to wear, floral printed ties are a good option. You can combine this eggplant tie with white/light blue poplin semi spread shirt, burgundy barathea braces, and navy temple printed wool / silk pocket square. Related links to "Floral Printed Silk Tie - Eggplant II - Handrolled"